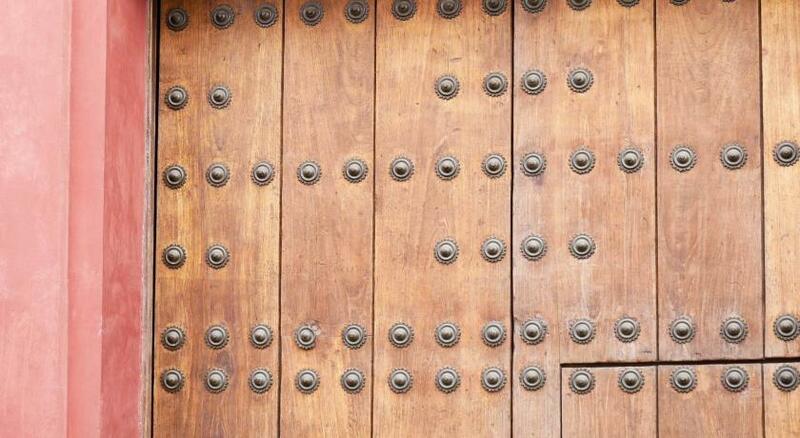 Lock in a great price for Hotel Doña Manuela – rated 9 by recent guests! The location is terrific. It is right on the rim of Santa Cruz. The parking place in front of hotel is the location that day-tour agencies pick up people. 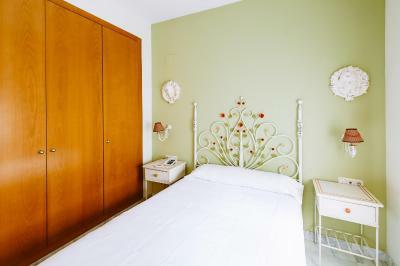 The hotel is very close to the bus station Prado de San Sebastián (15 minutes walking distance) and taxi rank (within 5 minutes walking distance). Two famous tapa bars, Catalina & Vineria San Telmo, are just next door. Very friendly and helpful staff. The hotel is very pretty, with an attractive sitting area. 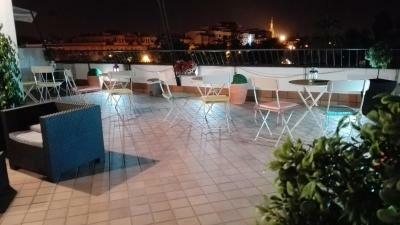 They have a roof top patio, which is a fantastic place to enjoy a glass of wine in the evening. They have a breakfast deal with a local restaurant which is economical and tasty. Our room was very comfortable with a nice bathroom. We really enjoyed the area, all the sites were easily accessible. Location, cleanliness and well maintained, quality of amenities (toiletries, cookies and liqueur in the lobby), friendly and helpful staff. 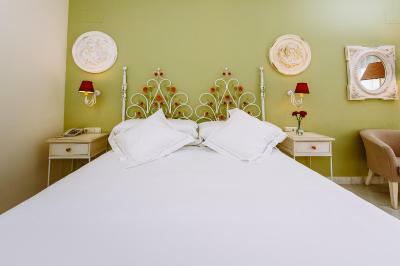 The staff was very friendly and helpful , the room very comfortable and the surroundings beautiful. We loved the location of the hotel. It seemed to be right in the heart of things where many locals frequented. We also loved our beautiful veranda and the free breakfast each morning. 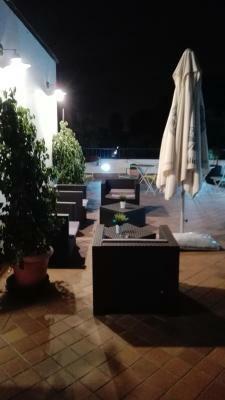 Older, mature hotel, but excellent location, nice staff, and large rooms. Traffic can be a tad noisy in the mornings, but offset with nice balcony overlooking park. Good bang for the buck. Really wonderful location. Convenient to all the tourist areas we wanted to visit. Loved the decor and staff helpful. No restaurant but very close to many within easy walking. Parking garage next door. Definitely recommend. The location was great and the staff was awesome. José María and Mela were friendly, attentive, and made ya feel welcome. Great location - walking distance to everything. Our room faced the street so we could hear the traffic noise but it did not bother us. 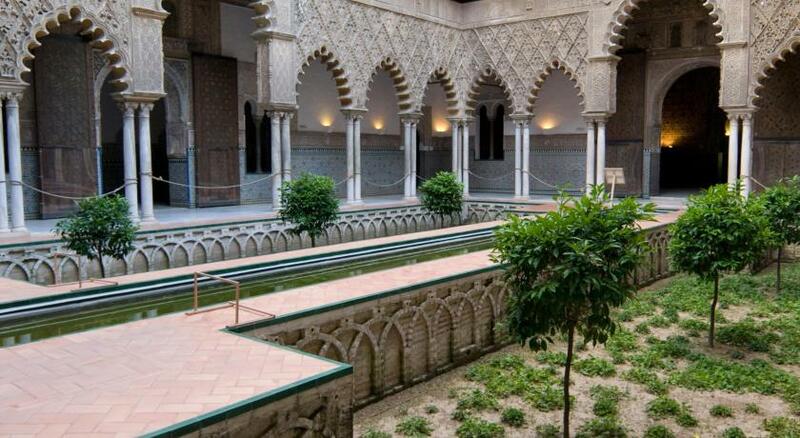 The staff went above and beyond to help us print out our Alcázar and Cathedral tickets. I would definitely stay at this hotel again. 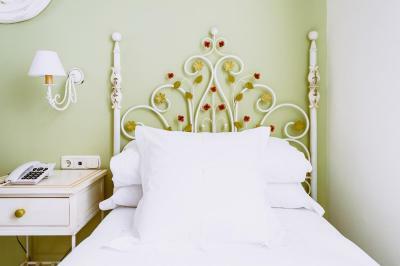 Hotel Doña Manuela This rating is a reflection of how the property compares to the industry standard when it comes to price, facilities and services available. It's based on a self-evaluation by the property. Use this rating to help choose your stay! 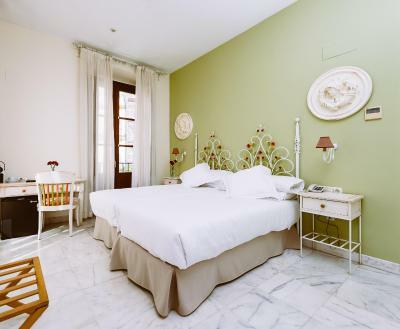 Set in Seville’s old Jewish quarter, Boutique Hotel Doña Manuela is located in the Santa Cruz neighborhood, next to the Murillo Gardens. 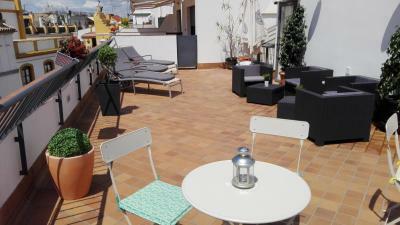 This charming, traditional Sevillan property includes free internet and a roof terrace with great views. 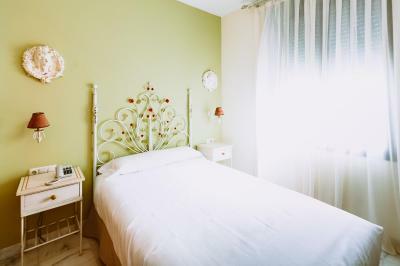 All of the rooms at the Boutique Hotel Doña Manuela come with air conditioning, flat-screen TV and a safe. 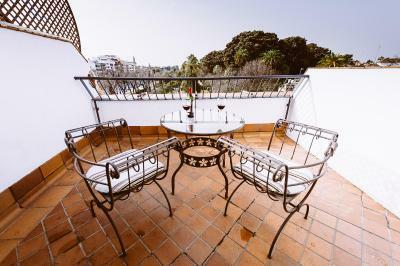 Superior rooms open onto a large terrace and some offer city views. 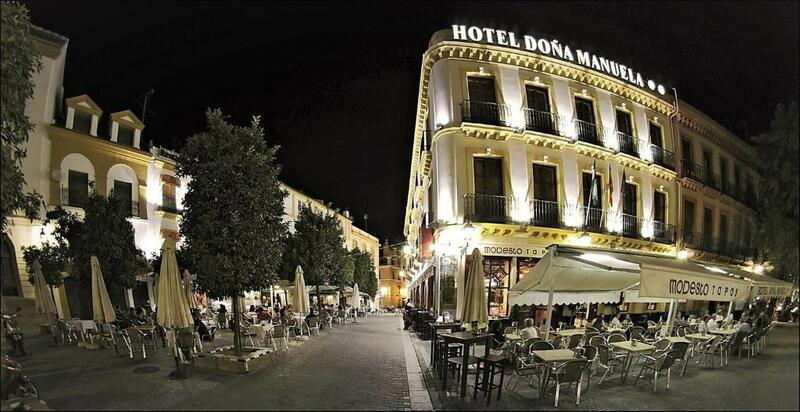 There are many charming bars and restaurants in the surrounding streets. 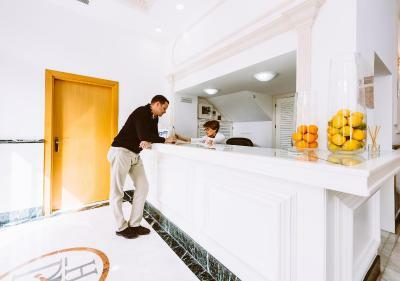 Guests can make use of the ticket service and express check-in and check-out at the hotel’s 24-hour reception. 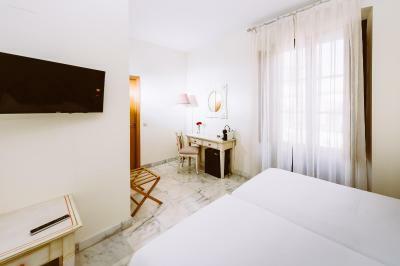 Boutique Hotel Doña Manuela is within 10 minutes’ walk of the Alcazar Palace, Seville Cathedral, La Giralda and the Torre de Oro. Santa Justa Train Station is within a 10-minute drive. The airport bus, the bus station and nearest Metro are within 5 minutes’ walk. Alfonso XIII Convention Center is 1,950 feet away. 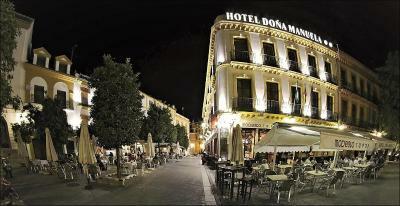 When would you like to stay at Hotel Doña Manuela? This room features a single bed, built in wardrobe and a window overlooking an interior courtyard. 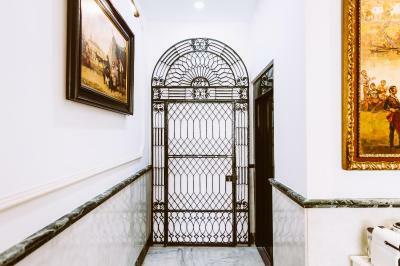 It includes a flat-screen satellite TV, free safe, mini-bar, Nespresso coffee machine, marble floors, and a private bathroom with a shower and hairdryer. Free WiFi is provided. Individual air conditioning and heating is provided. Please note that this room is adapted for guests with reduced mobility. This spacious twin room features a balcony. It has marble floors, a desk, free safe, mini-bar, Nespresso coffee machine, and a flat-screen satellite TV. There are 2 single beds and a built in wardrobe. 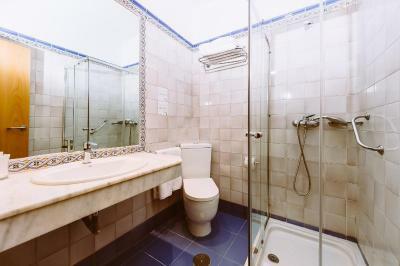 The private bathroom comes with a bath or shower, subject to availability. A hairdryer is also included. Free WiFi is available. Individual air conditioning and heating is provided. This spacious triple room features a balcony. It has marble floors, free safe, mini-bar, Nespresso coffee machine, and a flat-screen satellite TV. There are 3 single beds and a built in wardrobe. The private bathroom comes with a bath or shower, subject to availability. A hairdryer is also included. Free WiFi is available. 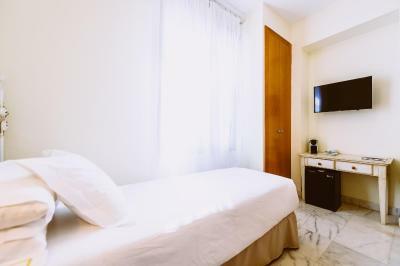 This double room features a private furnished terrace, marble floors, 1 double bed, coffee machine with free capsules, free safe, mini-bar, Nespresso coffee machine, and a flat-screen satellite TV. 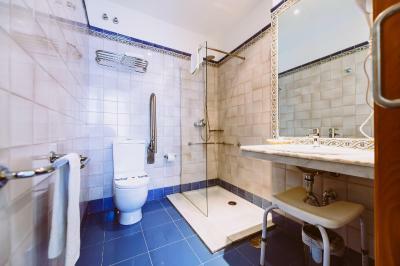 The private bathroom includes a bath or shower, subject to availability. A hairdryer is also included. Free WiFi is provided. Individual air conditioning and heating is provided. 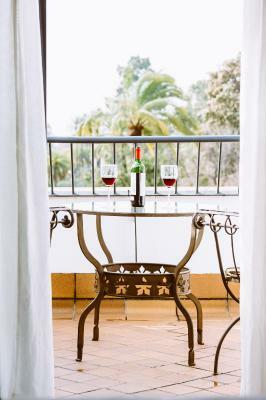 Featuring views of the Murillo Gardens, this twin room has a balcony, marble floors, safe, mini-bar, Nespresso coffee machine, and flat-screen satellite TV. The private bathroom comes with a bath or shower, subject to availability. A hairdryer is also included. House Rules Hotel Doña Manuela takes special requests – add in the next step! Hotel Doña Manuela accepts these cards and reserves the right to temporarily hold an amount prior to arrival. 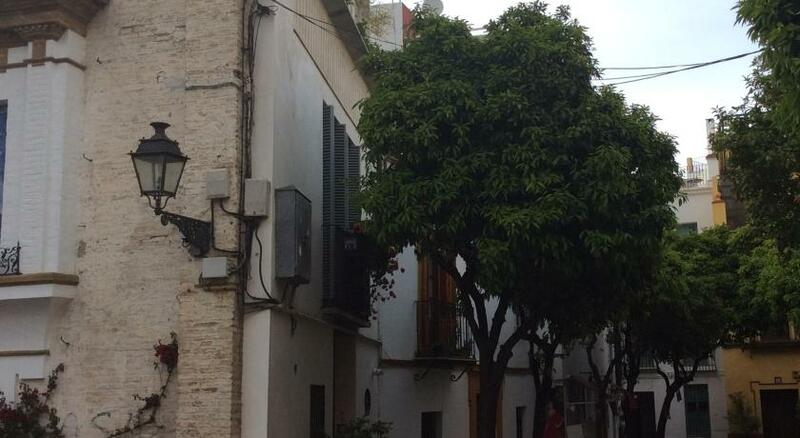 Close to Córdoba mosque - a must see, clean, friendly helpful staff, enjoyed our stay in this area. Andalusian horse performance and Flamenco Dancing terrific. We where aware of the location and proximity to bars and restaurants, and appreciated that there may be some noise from outside. Room 17 was on the first floor and we has little sleep both nights mainly from the noise of bars closing up . I guess a room on 2nd or 3rd floor would had been better. The bathroom was a bit tied in this room too. Location was within walking distance to all the attractions , and good selection of restaurants close by. Nice small hotel, reception area and roof terrace very impressive. Location was perfect. Loved the Tapas Bars on our street. Could walk to all sightseeing. Hotel staff were extremely helpful. 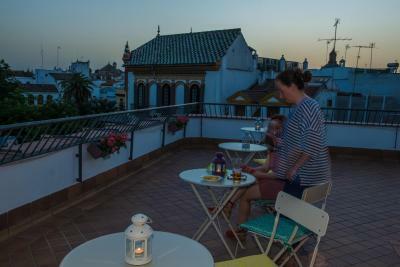 We enjoyed our evening happy hour on the rooftop terrace. Bathrooms are very old though they are clean. It seems rooms were refurbished but bathroom wasn’t. Room needs a little refurbishment / paint to give it another life. Bar outside can be noisy, especially at weekends. Note to hotel - as previously stated by other guests, PLEASE replace your bath towels, full of holes! Disgraceful. Great location, easy check-in, nice building. Excellent service from the staff. Also, the location was sensational. We didn’t have a safe in our room. It was room 31. 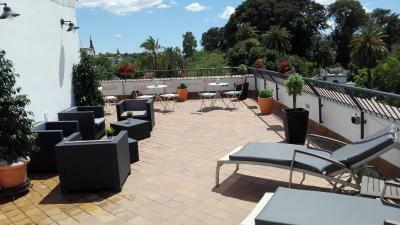 It was worth paying the extra to have our own private roof terrace with views of lovely park. Nothing. Might be helpful to have adaptors for guests to borrow, although they do have a shop 2 mins away that sells them. excellent value, location and a proper coffee maker in the room, which was a nice surprise. Room lacks in charm, it felt very basic, not as I imagined from the photos. VERY noisy at night (we had a room with balcony facing the front of the hotel). The hotel felt overpriced for what it was, especially for low season. No breakfast facilities. Perfect location, close to all major sights and great restaurants nearby. Spacious and clean room. Good shower. Helpful staff. 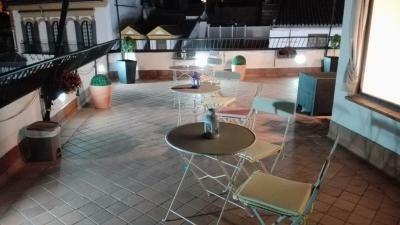 Due to the tapas bars below ,a bit noisy at night. Rooms are clean big and well equipped. Location is excellent . 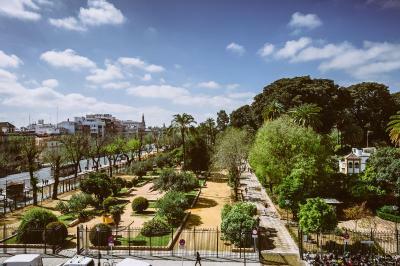 Cathedral, Real Alcazar and La Giralda is a short walk via the Murillo Gardens .Lots of good Tapas bar and restaurant close-by. 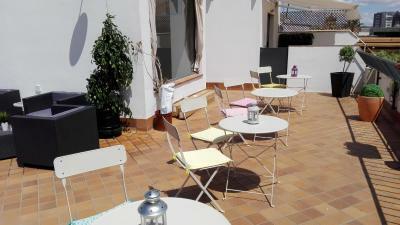 This is a lovely small hotel in the perfect location close to Plaza Espana. Barrio, Cathedral and Main shopping area. We have previously stayed in Seville but not at this hotel. 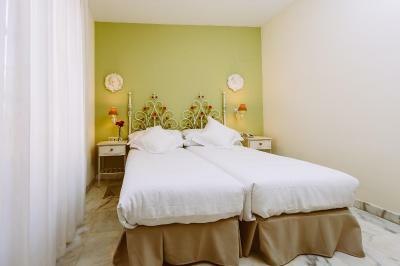 It is great value for money and we would not hesitate to stay again.